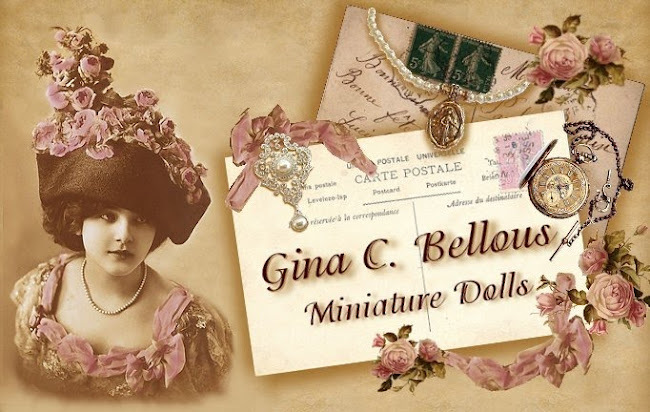 Gina C. Bellous Miniature Dolls: Happy Halloween Time! I especially loved this "Bat Costume" Awesome detail. Look at her shoes too! Hey Morena! 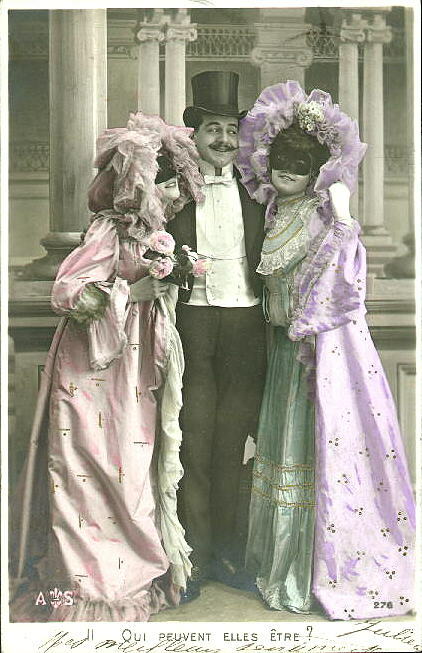 Thanks, I love these old photos too! OMG! What was the first ensemble from? Where did you find it? 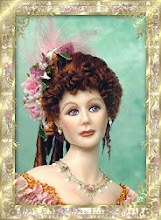 Isn't she great! 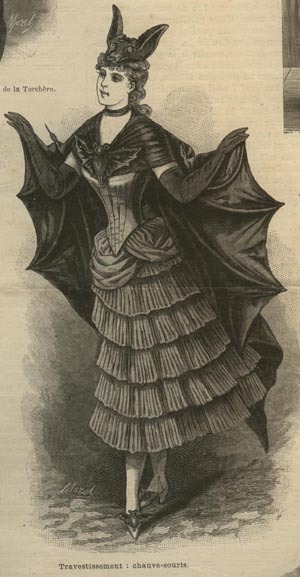 The Bat Lady is from Mode Illustree, Jan 1887. If you do a search for Mode Illustree on Google you will get all sorts of fabulous costumes, just type in the year you are interested in!